I have some really exciting news that I have been dying to share with you all since before Christmas. 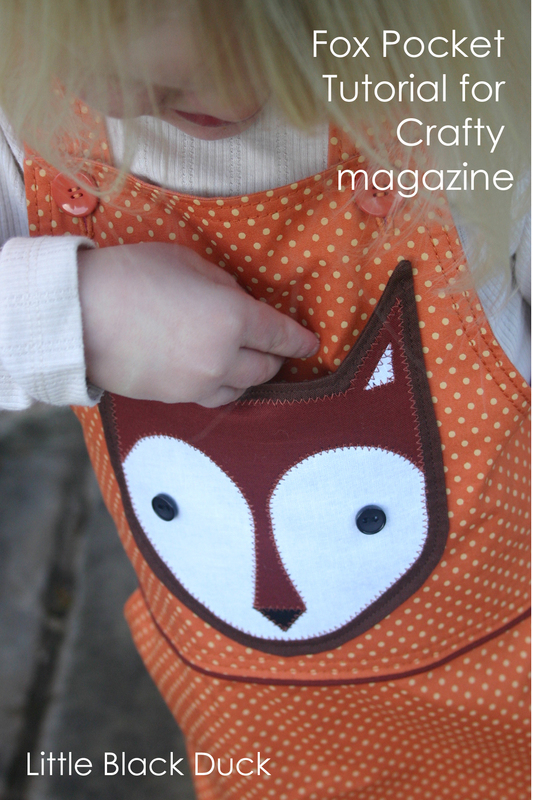 I entered a design competition with Crafty magazine to come up with a craft project and tutorial based on foxes. 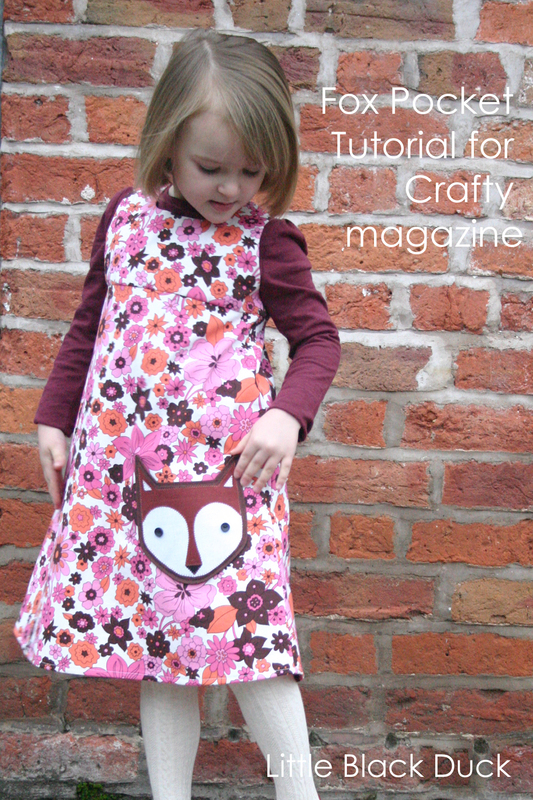 The winner would get £300 worth of haberdashery goods and have their tutorial printed in issue 10 of Crafty magazine. The rather brilliant news is that I won!!!!! I tell you, I was doing a serious happy dance when I found out that my design was the winning entry…and not just because I’ll get £300 worth of goodies! The pocket is relatively simple to make and is a nice introduction to machine applique. You just need to take your time when sewing the curves and you should be fine! The girls love their dresses and Emily was quite upset when I sent ‘her’ dress off as part of my entry. Luckily for me the dresses have been returned and I have two happy little girls! 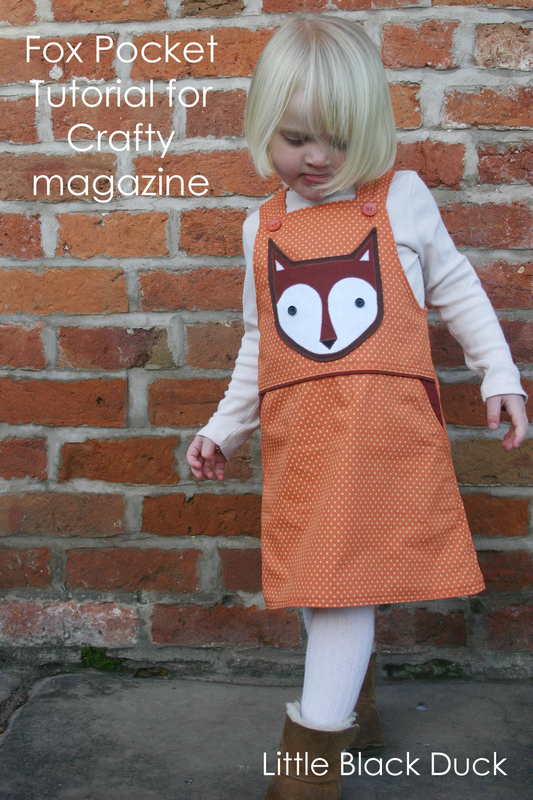 If you’re interested then I’ve also done an interview for the Crafty magazine web site….. I am completely made up and can’t wait to see my tutorial in print….I went to my nearest outlet this afternoon to get a copy but because of the New Year bank holiday they hadn’t had their delivery today! Awesome news!! Congratulations!! Absolutely adorable pocket, I can see how the girls would be miffed at having to send them away. That is pretty awesome! Your dresses and pockets are adorable. Well done! Well done – glad to hear your girls got the bits back. I my mum had made something like that for me I’d want it back too! Might have to buy the magazine for a sneaky peak. Never had the patience for applique (or non-bag making sewing for that matter), but it is on my list of project. Well done, it’s lovely. Think even my boys would like that.